The posts on here have been few and far between. I figured I'd try to squeeze in a quick one before I drift off to dreamland assisted by some muscle relaxers. I threw out my back on Friday and haven't been able to get out of bed since. I went to the hospital and had an MRI and luckily there wasn't any major break or tear or anything like that. I either pulled a muscle real good or pinched a nerve, but man does it hurt something fierce. Quite unfortunately, tomorrow is the day I was scheduled to tour the CF Research facilities at Cincinnati Children's. Luckily, there is another date that I can do it. I would have been royally bummed to have missed that opportunity. I haven't had much to write about lately. Health has been good, and I put a lot of that on the second hypertonic we are giving Drew each day. He's gotten a few colds and gotten over them without the help of antibiotics. Lately when he has sounded junky in his head it hasn't moved down to set up in his chest, so that's been pretty awesome. Maybe it's some immunity built up from last year or maybe it really is the hypertonic helping to keep that mucus thin and slippery the way it's supposed to be. We have an appointment at the clinic on Dec. 12. I haven't had to call the doc one time (knock on wood) since his last appointment, which up until this point has been unheard of. This is also the longest that he's ever gone without antibiotics. I couldn't be happier with his current health, and hope it continues this way! No news with Quatro. I was going to talk to my OB about the DHA and GHS supplements that I was considering taking after having talked with Dr. Clancy but now this back problem has taken priority so we will wait until that problem is solved before we move on to the next thing. I still haven't really made up my mind on whether I want to bother taking them or not. That's about all I've got for now! 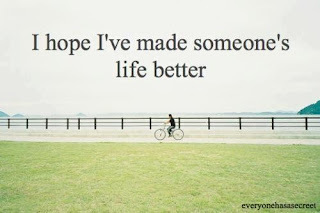 Hopefully I'll have more to share about good health and other positives soon. Be thankful that you don't already have everything you desire. If you did, what would there be to look forward to? for it gives you the opportunity to learn. Be thankful for the difficult times. During those times you grow. because they give you opportunities for improvement. because it will build your strength and character. Be thankful for your mistakes. They will teach you valuable lessons. because it means you've made a difference. I'm thankful for all that has happened to us this year. I'm thankful for good friends and family, good health, great opportunities and countless other blessings. I hope that everyone can enjoy their Thanksgiving Day by being thankful for what they have and giving what they can. This past Thursday I had the honor of attending the Celebrity Waiters Fundraiser benefiting the Cystic Fibrosis Foundation. I had agreed to volunteer at the event...before I even knew that the Lachey brothers would be attending! 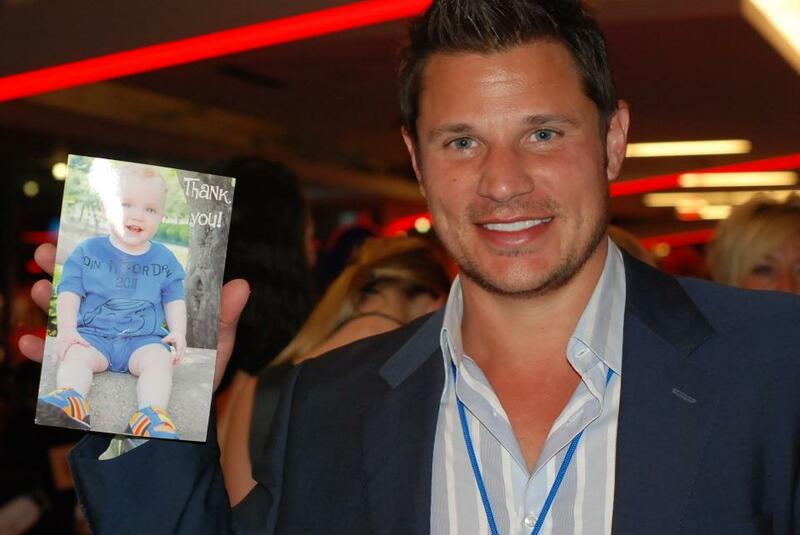 I must say that having Nick & Drew Lachey at the fundraiser was the hit of the event! It was the 25th anniversary of the event and was moved this year from a luncheon to a dinner gala. There were about 250 guests there to honor the woman who started the event 25 years ago and to raise money for a good cause. The folks who attend the event are mostly local business owners or otherwise independently wealthy folks who have some money to throw around. I wish more CF families could attend, but honestly we couldn't even afford to go. I guess it doesn't really matter whose there, as long as they're giving their money to the CFF! The night started with some speeches and then turned to the live auction. This is where Nick Lachey made a BIG impact. He made some big bids on some not so big items. He also agreed to golf with the Bengals head coach and two guests of your choice, and if the bidding hit $2000 he agreed to double it if someone would match the bid. And they did! I think that close to $20,000 was raised during the live auction alone. The silent auction and the balloon auction were also both hugely successful. I can't wait to hear how much was actually raised all told, but I know it was significant. 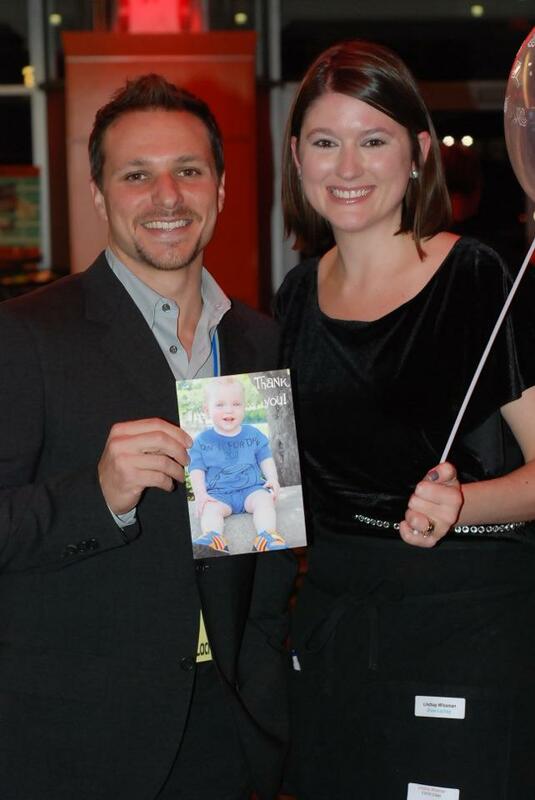 There were a handful of doctors and other caregivers from the CF Clinic at the event as well. Its always amazing to see the effort that they put forth to support their patients and their families far beyond the doctors office. I spoke for a while with Drew's old doctor. She was talking about how they had been discussing getting a few parents on board with them as part of a process improvement team. I LOVE the idea and want nothing more than to be a part of it. It sounds like something that they will be trying to get kicked off at the beginning of the new year. My philosophy on the whole world of CF has always remained the same - the more I know, the better off we are. Any doctor who knows my name or any advocate who gets to hear my message or any parent or friend or whoever shares information with me or I with them, the more I know and am known, the better off we all are. I'm participating in tour of the Cincinnati Children's CF Research Facilities led by the one and only Dr. Clancy on the 29th and I couldn't be more excited. I can't wait to see firsthand whats going on behind the scenes and hear from one of the top CF researchers in the country where we are and where we're going. I will definitely be blogging about that after it happens. Some of my husbands family will be coming to town this week to join us for Thanksgiving. Its nice to be able to stay at home and have family around to celebrate with. I'm looking forward to a relaxing week with lots of food and maybe a little shopping. I hope everyone has a wonderful Thanksgiving and I'll be back soon! We have had a FULL schedule the past week and a half and things finally seem to be slowing down. Between doctors appointments, meetings, play dates and other commitments, we haven't had a minute of downtime. This past Thursday was the kickoff for Cincinnati's Finest Young Professionals, a fundraiser for the Cystic Fibrosis Foundation. Two of my friends were nominated this year and I'm excited to work with them to help raise money for the CFF. At that event, I had the opportunity to talk with Dr. Clancy for a few minutes! I think that I had posted a couple of weeks ago about how I had asked Drew's doctor if she had any knowledge of taking DHA and GHS while pregnant with as a CF carrier to prevent meconium ileus. Her response was that no, she hadn't really heard of it, though if there weren't really any risks involved, while she hadn't known of a proven benefit, it couldn't hurt. So I checked with my OB, and her response was similar. To actually have human data to look at, there would have to be a sample of people who knew that they were pregnant with a CF baby which, in itself, is rare. Then, since meconium ileus only happens seemingly randomly in babies who have a mutation that carries pancreatic insufficiency, it would really be hard to isolate how truly effective taking those medications are in preventing meconium ileus since you couldn't be sure the kid was going to be born with it in the first place. That said, my OB said that she didn't really see any harm in taking those medications but suggested that I also check with Dr. Clancy to see if he had any knowledge of research done on these medications for the purposes I was asking about. So Thursday night came and I had the chance to talk to Dr. Clancy. He said that there were actually some current studies being done of supplementing newborns with DHA and GSH and how they help them since CF kids produce insufficient amounts of these on their own. He also said that he didn't see any real harm in taking them while pregnant, as long as it was in a reasonable dose. It would be unclear how much would actually get passed along to the baby, who may or may not have CF (obviously we're hoping not) and also unclear would be if the baby were born with CF and without meconium ileus if it would be because of my having taking those medications. That said, he said that if it would help me sleep at night thinking that I was doing something proactive and there was no risk to the baby either way, he didn't see anything wrong with it. 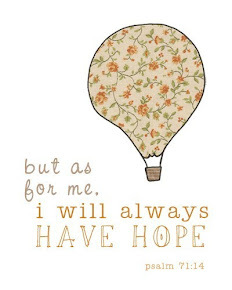 So I may. I haven't decided yet. The North American CF Conference was last week and I so so wish that I had been able to attend. Some of the materials have been made available online (CLICK HERE). There's a really interesting one on Animal Models in CF, and if you read through it and see some of the Pig Model (which has only been around for 3 or 4 years), there are crazy similarities between the symptoms of the disease that they display and the ones that Drew has. In talking with Dr. Clancy on Thursday, he said that hes sorry for all that Drew has had to go through the past 18mo, but that they have learned a TON through him. Prior to Drew, the Cincinnati CF clinic hadn't seen airway abnormalities and tracheomalacia in CF kids like Drew had. They had assumed that they two were unrelated and that he was just unlucky in having smaller, disfigured airways on top of his challenge to clear secretions. But with the research that has come on on the pig model in the past year or two and seeing the airway abnormalities of the pigs, it would seem that its more than a coincidence but rather a clinical manifestation for the mutations that Drew has. "...Some mutations result in CFTR proteins at the cell surface that do not function properly. They function like a locked door. VX-770 unlocks the door and allows these proteins to function correctly, improving the flow of salt and fluids in and out of the cell. VX-770 is designed to increase the function of the defective protein at the cell surface in people with the G551D mutation. The defective protein functions like a locked door. VX-770 helps unlock the door at the cell surface, enabling chloride to pass through, as it would in healthy cells. This restores a proper flow of salt and fluids on the surface of the lung. For these reasons, people carrying the G551D mutation appear to have a strong potential to benefit from VX-770. It is possible that the results of the Phase 3 trials will provide a basis for the use of VX-770 to treat other similar mutations...."
demonstrated the largest VX-770 response, with all 8 class III mutations tested (e.g.,G178R, G551D, G551S, G1349D) showing a >10-fold increase in Cl? transport compared to baseline". So I guess we'll just have to wait and see what happens! The other thing that I've been quite happy about recently (knock on wood) is that Drew got his first cold that he got over on his own without antibiotics! I'm not sure if its his prior year exposure that has his immunity built up a little or his stronger airways now that hes a little older allowing him to cough things out a little better or what, but I'm happy about it. We've been on hypertonic saline for a while now, but we'd only been using it once a day. I had read some research suggesting its benefits to be more profound if it was administered twice a day. However, it can't be given at the same time as Pulmozyme, so that allowed us to use it with his morning treatment but not his evening treatment when we give him his Pulmozyme. But I decided that we would see if it really helped him, so I added in a third treatment during the day, right after he wakes up from his nap. And wouldn't you know that having been observing this now for probably a good two months, there is little to no coughing, colds seem to be a runny nose that lasts for a few days and then disappears, and overall he just seems better. So we will continue with the hypertonic twice a day...until that little blue pill becomes available to us and we "cure" him! Fingers crossed people! The North American CF Conference started yesterday and I'm so bummed that I can't be there this year. I'm already working on plans to be there next year. I wanted to share an article and video that the CF Foundation posted on their website about the conference. There is so much hope. The North American Cystic Fibrosis Conference (NACFC) kicked off its 25th anniversary on Nov. 3 with exciting reports from the CF drug development front and powerful messages of hope from people with CF and their families. Nearly 4,000 medical professionals, researchers and caregivers from around the world convened in Anaheim, Calif., to discuss the latest results of CF research studies and exchange ideas about ways to improve the quality of life for people with CF. In his opening remarks at the conference’s first plenary session, Robert J. Beall, Ph.D., president and CEO of the Cystic Fibrosis Foundation, described the remarkable progress of potential drugs targeting the underlying cause of CF. In a video presentation, Lauren Brenneman, 33 — an adult with CF and mother of 4-year-old Isaac, who also has CF — shared her inspiring story of participating in a clinical study of VX-770, a potential therapy under review by the U.S. Food and Drug Administration to treat the basic defect in some people with CF. Marcus A. Mall, M.D., of the University of Heidelberg, Germany, capped off the first day with a stimulating overview of milestones in understanding and treating the underlying cause of CF since the first NACFC 25 years ago and the lessons that can be applied to development of the “next generation” of therapies and used as a model for other rare diseases. So, as we all know by now, being a CF carrier married to another CF carrier gives any of our offspring a 25% chance of having CF. That means a 75% chance that they won't. We had discussed this all at length before deciding to have another kid after Drew's diagnosis, and also decided that we wouldn't be finding out before birth if the baby does or does not have CF. There is more risk than benefit involved with finding out, as there is nothing that can be done for the kid ahead of time. 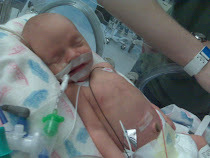 Having had Drew born with meconium ileus, I had some questions for both his doctor and mine about the likelihood of CF manifesting itself in that form again. I learned that about 85% of people with CF are pancreatic insufficient (which is why Drew takes enzymes every time he eats to help him digest the food and hold onto the fat) and that of that 85% about 20% are born with an intestinal blockage. Having had 1 baby with meconium ileus doesn't make me any more or less likely to have it happen again, but with the two mutations that any of our children would have if that had CF, they would be pancreatic insufficient and therefore put them into the 20% that could be born with a blockage. I had asked Drew's doctor if she knew anything about stuff a mother could do to prevent such a blockage from happenings, such as taking a laxative or stool softener. The answer was no, because drugs like those don't enter your blood stream, they just go right to your gut. If it doesn't enter your bloodstream, it doesn't get passed on to baby through the placenta, therefore rendering it useless to baby. .... Either way, a woman pregnant with a fetus they either know or suspect has CF will wonder if there is anything they can do to lessen the chance that the baby will suffer complications in utero. Until very recently, the answer was no. All that could be suggested was ultrasounds in the third trimester to look for signs of incipient meconium ileus (severe bowel blockage) that might necessitate emergency Caesarean delivery and immediate surgery for the newborn. However, some very recent research argues that supplementation with two nutritional supplements - DHA and GSH - may lessen or even prevent the manifestations of the disease that begin even in utero. GSH is reduced glutathione. GSH is the most important antioxidant in the body for neturalizing water-soluble oxidants. It is also a powerful mucolytic. For our purposes here, it is glutathione's third property as an important regulator of inflammation that we will discuss in this context. Researchers have shown that the chronic and excessive inflammation that characterizes CF begins in utero. This inflammatory state directly damages the tissues of the body, which in turn primes the body for bacterial colonization as well as eventual immunodeficiency. If one could lessen or even shut off the very start of that inflammation which begins in utero, the CF infant should have a better start in life. In 1998, researchers first noticed that the CFTR channel, which channel is missing or defective in CF persons, is the main efflux route of cellularly-produced GSH (see section on Glutathione for more information and scientific references). This is a very important finding, as the redox state of GSH in immune system cells is the primary trigger of inflammation in the body. If GSH becomes depleted in immune system cells, inflammation begins. This is precisely what begins to happen in the CF body, and this is what is hypothesized to be happening in utero. This theory suggests that supplementation of the mother with GSH may tend to lessen any GSH deficit that may start to develop in the immune system cells of her fetus. This should serve to lessen or even shut off the origin of fetal inflammation. One last piece of research will also be useful to the woman: pregnant CF carriers tend to develop gestational diabetes during pregnancy. Alert your obstetrician or midwife to that fact, so that precautions can be taken. You may need to avoid certain types of food, such as sucrose, during your pregnancy. You may also gain more weight than the average pregnant woman because of the gestational diabetes. One good thing is that unlike non-CF carriers that develop gestational diabetes, you are unlikely to develop potentially dangerous hypertension. The reason for this is that CF carriers, like CF persons, tend to have lower-than-average blood pressure to begin with. This is one of the few blessings of having a CF mutation! However, you cannot count on this as a certainty. We have heard from one mother, a carrier of the delF508 mutation, who did have high blood pressure while pregnant. Another observation has been that the placentas created by the bodies of CF carriers tend to become quite calcified - almost to the same extent as if the mother was a heavy smoker. It is theorized that this has to do with the impaired absorption of minerals by the CF carrier's body. This may also be important for your doctor or midwife to understand. I have seen a review article that describes the fatty acid alterations in blood and tissue of CF patients. There have been studies looking at supplementation in CF patients which show an increase in the fatty acid composition but no change in clinical outcomes. They conclude that larger studies are needed and more clinical outcomes need to be evaluated to see what impact supplementation may have. I have not seen anything about fatty acid alterations in CF carriers or supplementation during pregnancy. However, it seems as though DHA and GSH supplementation would not cause any harm and therefore may be worth a try. You might want to talk to your OB. So I emailed my OB today and asked her to take a look into this and see if there are any risks associated with taking DHA and GSH while pregnant and when I have my appointment next week, we can discuss and perhaps I can start taking these supplements. They very well may be all for naught, as there is a 75% chance that this baby will not have CF. But if we got unlucky and potentially help to removed the chance of a blockage, i'll do whatever necessary. "65 Roses" is what some children with cystic fibrosis call their disease because the words are much easier for them to pronounce. This blog, 66 Roses, is dedicated to finding the cure. Patients and caregivers often become extraordinarily knowledgeable and get better care by learning from each other. Opinions shared on this blog are my own and do not represent the opinions or views of my employers.